Credit: Photo by Jordan Angle, courtesy of The Ohio State University. COLUMBUS, Ohio–A study of a Lake Erie wetland suggests that scientists have vastly underestimated the number of places methane-producing microbes can survive — and, as a result, today's global climate models may be misjudging the amount of methane being released into the atmosphere. In the journal Nature Communications, researchers at The Ohio State University and their colleagues describe the discovery of the first known methane-producing microbe that is active in an oxygen-rich environment. Oxygen is supposed to be toxic to such microbes, called methanogens, but the newly named Candidatus Methanothrix paradoxum thrives in it. In fact, 80 percent of the methane in the wetland under study came from oxygenated soils. The microbe's habitat extends from the deepest parts of a wetland, which are devoid of oxygen, all the way to surface soils. "We've always assumed that oxygen was toxic to all methanogens," said Kelly Wrighton, project leader and professor of microbiology at Ohio State. "That assumption is so far entrenched in our thinking that global climate models simply don't allow for methane production in the presence of oxygen. Our work shows that this way of thinking is outdated, and we may be grossly under-accounting for methane in our existing climate models." More work needs to be done before researchers can determine exactly how much more methane is out there, but the microbe's habitat appears to be global. Searching publically available databases, the researchers found traces of Candidatus Methanothrix paradoxum in more than 100 sites across North America, South America, Europe and Asia. The organism lives in rice paddies, wetlands and peatlands–even as far north as the Arctic. It just hadn't been cataloged before, and its unusual metabolism hadn't been discovered. Researchers have long known that wetlands are Earth's largest natural source of methane. They've placed estimates on the amount of methane produced globally based on the notion that only the oxygen-free portion of any wetland could harbor methanogens. In just the last decade, ocean researchers have seen evidence of methane being produced in oxygenated water, and dubbed the phenomenon the "methane paradox," but no microorganism has been found to be responsible. The newly discovered wetland microbe is the first such organism ever found. That's why Wrighton and her team named it Candidatus Methanothrix paradoxum. The researchers weren't expecting to make that particular discovery in November 2014, when they collected soil samples from sites around Old Woman Creek National Estuarine Research Reserve, a 573-acre freshwater wetland on the southern point of Lake Erie near Huron, Ohio. Their goal was to map the metabolism of the microbes that lived there, to better understand how methane was being produced in general. When doctoral student Jordan Angle analyzed the samples, he found something strange: Soils that were rich in oxygen contained more methane than soils that lacked oxygen. "I didn't believe it, and thought he'd gotten the samples mixed up," Wrighton said. After Angle repeated the experiment two more times and got the same results, the team returned to the site over six months in 2015, April through October. They found that, in some cases, oxygenated soils contained 10 times as much methane as nonoxygenated soils. Then researchers sequenced microbe DNA from the soils and assembled genomes for the most plentiful organism, which turned out to be the new methane producing microbe. These methane producing microbes contribute to the fact that although wetlands cover only 6 percent of the Earth's surface, they account for about one-third of all atmospheric methane, estimated at 160 million tons–at least, that was the estimate before this discovery. Wetlands are not the villains of the story, though. They do a lot of good for the environment–from filtering contaminants out of the water to providing a critical animal habitat–and they store much more greenhouse gas than they emit. Globally, wetlands sequester as much as 700 billion tons of carbon that would otherwise raise global temperatures, were it to enter the atmosphere. 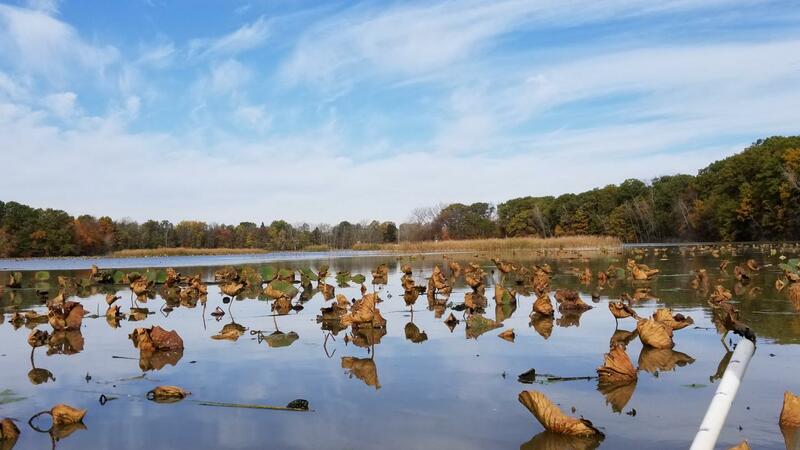 "Since late 18th century, 90 percent of Ohio's wetland resources have been destroyed or degraded through draining, filling or other modifications," Wrighton said. "It is imperative especially for the natural wetlands like this one that we preserve and protect these resources." Ohio State co-authors on the paper include Gil Bohrer, associate professor of civil, environmental and geodetic engineering, and his former and current doctoral students Timothy Morin and Camilo Rey-Sanchez; and senior researcher Rebecca Daly and doctoral students Lindsey Solden, Garrett Smith and Mikayla Borton, all of microbiology. They partnered with Adrienne Narrowe and Christopher Miller at the University of Colorado Denver, David Hoyt of Pacific Northwest National Laboratory and William Riley of Lawrence Berkley National Laboratory. Their work was funded by the Ohio Water Development Authority, the National Science Foundation and the Department of Energy (DOE), including Wrighton's DOE Early Career Award. Old Woman Creek National Estuarine Research Reserve is run by the National Oceanic and Atmospheric Administration and the Ohio Department of Natural Resources.